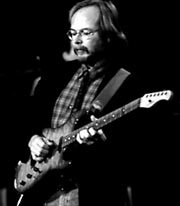 Reelin In The Years and Do It Again live from The Midnight Special TV show from 1973. Reelin In The Years live from The Old Grey Whistle Test TV Show from 1973. My Old School live from The American Bandstand TV Show 1973. 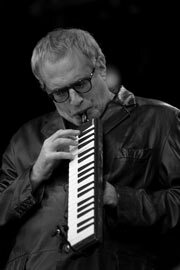 Video for Donald Fagen's New Frontier 1982. 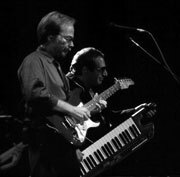 New York Rock & Soul Revue A & E 'In Concert' Special from 1992, featuring Donald Fagen, Michael Mcdonald and Boz Scaggs. 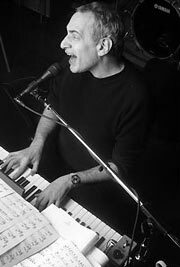 Interview with Donald Fagen on The CNN 'Show Biz Today' programme from 1993. Interview with Becker & Fagen on the E! Channel Network from 1994. Josie live from The Late Show with David Letterman from 1995. 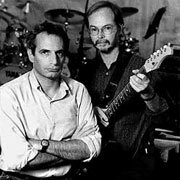 VH1 Steely Dan Documentary from 1995. Peg, Jack of Speed, Kid Charlemagne and Black Friday Live from The NBC 'Today Show' TV programme 2000. Cousin Dupree and What A Shame About Me from VH1's 'Storytellers' TV Show 2000. 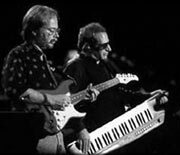 Steely Dan's Induction Into The 'Rock & Roll Hall of Fame', Hilarious Speech plus Do It Again and Black Friday performed live 2000. 'Night Music' TV Show. Featuring Donald Fagen, Joe Sample and David Sanborn from 1989. 'New York Rock & Soul Revue' Philly PA, 18/8/92. Featuring Donald Fagen, Michael McDonald and Boz Scaggs. Audience shoot. The 'Grammy Awards' TV show 1994. Fagen's Kamakiriad is up for Album of The Year. Live at The Starwood Nashville, 16/9/93. Professionally shot. Live at Jones Beach, ?/?/2000. Audience shoot. VH1's Storytellers TV show from 2000. E! Channel Network interview with Becker & Fagen 2000. Cousin Dupree live on The Late Show with David Letterman 2000. CNN 'Show Biz Today' interview with Becker & Fagen, plus an exclusive live performance of Cousin Dupree 2000. Peg, Jack of Speed and Kid Charlemagne live on NBCs 'Today Show' TV programme 2000. Steely Dan's induction into the 'Rock & Roll Hall of Fame'. Becker & Fagen give a hilarious speech and perform Do It Again and Black Friday live 2000. VH1s 'Storytellers' TV Show 2000. 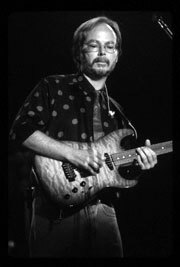 Steely Dan's induction into the 'Rock & Roll Hall of Fame'. Becker & Fagen give a hilarious speech and perform Do It Again and Black Friday live 2000. 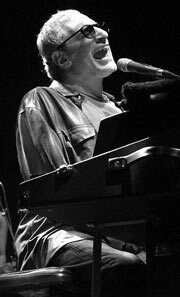 Video for Fagen's Snowbound 1993. Josie performed live on The Late Show with David Letterman 1995. The 'Grammy Awards' TV Show 2001. 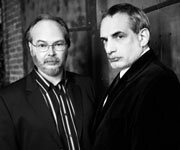 Steely Dan's Two Against Nature cleans up! Live at The Pacific Amphitheater, Costa Mesa CA, 23/7/03. Professionally shot. Live at the Tweeter Center, NJ, 17/8/03. Professionally shot. Live at The Pine Knob Theatre MI, 11/8/03. Professionally shot. Live at The Beacon Theatre NYC, 7/3/06. Audience shoot. Live at Jones Beach, 17/8/06. Audience shoot. Live in Charlotte 2006. Professionally shot. 1994 Interview DVD. Promo interview and behind the scenes footage from the '11 Tracks Of Whack' sessions. Professionally Shot. Live in Chicago Illinois, 26/8/94. Audience shoot. Live in Manassas Va 21/7/96. Featuring the unreleased cut 'Wetside Story'. Professionally shot. Compilation DVD. Two TV advertisements, one for a Donald Fagen Band gig in Chicago and the other is for the release of 'Morph The Cat'. Also on the disc is the final episode of 'Yacht Rock', the Internet phenomenon that has become a huge cult success. This episode concentrates on Steely Dan's alleged feud with the Eagles; very funny indeed! Live at The Beacon Theatre NYC, 21/5/07. Audience shoot. Compilation DVD. First off is an interview with Becker & Fagen on VH1's 'Talk Music' slot in 2000, then next up is footage from the 25th Grammy Awards ceremony in 1983. Fagen attends!. The Nightfly is up for numorous awards but Fagen and Katz go home empty handed due to Toto scooping most of them. 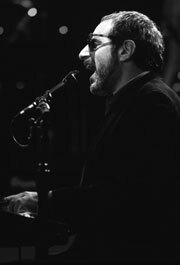 Featuring Michael McDonald, Gary Katz, Jeff Porcaro and David Paich. Professionally shot. 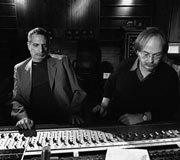 Fagen composes the music for two Jane Aaron animated short films, Traveling Light (1985) and Set In Motion (1987). Live at The Beacon Theatre NYC, 14/6/08. Audience shoot. 25th Grammy Awards in 1983. Fagen's Nightfly is up for numerous awards including album of the year. 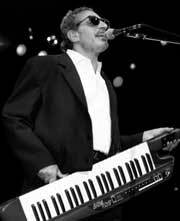 Featuring Donald Fagen, Gary Katz, Michael McDonald, Jeff Porcaro and David Paich. 24th Grammy Awards in 1982. Gaucho is up for Album Of The Year! Live at Jones Beach NY, 25/8/93. Audience shoot. TV advertisement for the Aja album from 1978. Featuring Sayoko Yamaguchi (model on the Aja album cover) and the voice over is by Eartha Kitt. A wonderful find! Live In Montclair, NJ. 17/11/08. Audience shoot. Live at the Hammersmith Apollo, London. 7/7/07. Audience shoot. Rent Party Tour TV Special. Really interesting 30 minute documentary to promote their 2009 Rent Party tour. Includes interviews with Becker & Fagen and some great rehearsal footage. Internet request night at the Beacon Theatre, 11/8/09. Audience shoot. Unedited version of 'Steely Dan's Plush TV Jazz-Rock Party'. 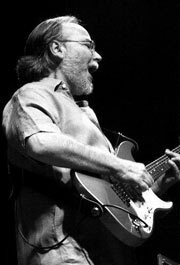 Includes four songs that didn't appear on the released version: Deacon Blues, Do It Again, West Of Hollywood and Home At Last. Live at the Beacon Theatre NYC, 7/12/10. Audience shoot. Live at the Constitution Hall Washington, 22/11/09. Audience shoot. Live at the Beacon Theatre, 23/9/11. 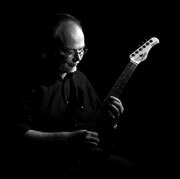 With special guest Larry Carlton! Audience shoot. Live, West Palm Beach, FL, 25/7/00. Audience shoot. Live at Madison Square Garden, 18/8/93. Audience shoot. Live in Philadelphia, 20/9/93. Audience shoot. Performing The Brothers Johnson classic 'I'll Be Good To You' live on 'Late Night With Jimmy Fallon', 14/6/12. Live in Cincinnati, Ohio, 13/7/08. Professionally shot. Live in Detroit, 25/6/00. Professionally shot. Live in St. Louis, Missouri, 4/9/06. Professionally shot. Live at the Shoreline Amphitheatre, CA, 12/9/93. Featuring a guest appearance from Boz Scaggs. Professionally shot. Live at the Beacon Theatre, NYC. Both nights of their consecutive concerts in August 2012. Audience shoot. Performing 'Weather In My Head' on The Late Show with David Letterman, 15/11/12. Live at the Tweeter Center, Mansfield, MA, 27/8/06. Professionally shot. Live in San Francisco, CA, 17/8/13. Audience shoot. Live at the Beacon Theatre, NYC, 7/10/13. Audience shoot. Live at the Beacon Theatre, NYC, 7/10/13. Audience shoot (this is a different shoot of the same concert above). Live in Bristow, VA, 20/9/13. Audience shoot. Live in Albany, NY, 23/9/93. Audience shoot. Live in Canandaigua, NY, 23/7/11. Audience shoot. Live in Germany, 25/7/07. Professionally shot. Live in Pittsburgh, PA, 11/8/14. Audience shoot. Live in Canandaigua, NY, 11/8/12. Audience shoot. Live at the Cynthia Woods Mitchell Pavilion, TX, 18/7/15. Audience shoot. Live at the PNC Bank Arts Center, Holmdel, NJ, 1/8/15. Audience shoot. Live at the Susquehanna Bank Center, Camden, NJ, 3/8/15. Audience shoot. The Royal Scam Night live at the Beacon Theatre, NYC, 10/10/15. Audience shoot. Live at The Capitol Theatre, Port Chester, NY, 19/4/16. (Blu-ray 16:9 Linear PCM Stereo) Audience shoot. A Tower Records TV advertisment for their Grammy winning 'Two Against Nature' album from 2000. EPK for their 2010 tour. Live in Greenwich, CT, 27/5/17. Featuring Larry Carlton. Audience shoot.